Defense Base Act Frequently Asked Questions. Get the right answers. Many questions about Defense Base Act can be found below. If not, don’t worry. Call us now at +1 800 393 2999 and talk to a lawyer for free. Alternatively, you can use the form at the bottom of this page to send us your inquiries directly. The firm’s name, Garfinkel Schwartz is in memoriam for deceased Florida Longshore and DBA attorney John M. Schwartz and his father Sydney Schwartz. Both practiced law for more than 75 combined years. Attorney Alan Garfinkel, John’s son-in-law, practiced with John Schwartz for a dozen years. Can you represent clients anywhere? Yes, absolutely. Garfinkel Schwartz currently represents clients all over the world. We have offices in Cocoa Beach, Florida, St. Augustine, Florida, Ft. Lauderdale, Florida, New York City, Maitland, Florida and Bucharest, Romania. Lawyers in our firm have helped clients recover money and receive excellent medical care under the Defense Base Act and Longshore and Harbor Workers Compensation law for many decades. We represent those who have been denied medical care, medical benefits and compensation after getting sick or injured while working on U.S. waterways as a Longshoreman or overseas in a war zone as a federal employee, a civilian contractor working for a defense contractor, or on a U.S. military base. Garfinkel Schwartz helps civilian contractors, longshoremen, third country nationals, sub-contractors, federal employees and employees of U.S. military bases located anywhere in the world. If we agree to accept your case, one of our lawyers will fly out to you to meet with you and your family. This week, we are flying out to help our clients in Turkey, Lima Peru, Washington D.C. and Macedonia. Together we will help you locate and obtain the very best doctors to treat your injuries or illness. Then we work super hard to get you the very best monetary settlement you need. We’ll review your case and find out what’s happened to you. It gets started as soon as you complete the new client package that we overnight to you. Do I pay legal fees? NEVER! At no point — ever — do you pay us legal fees under the Longshore Act or under the Defense Base Act. You don’t need money to begin your case or pay us to work for you. You don’t pay a penny because the laws require that your legal fees are paid. When we get you money, our fees are paid separately and not from your recovery. What is the Defense Base Act Law? The Defense Base Act is a far-reaching law that protects medical care rights and compensation to injured employees who work overseas for defense contractors. The Defense Base Act and the Longshore and Harbor Workers Compensation Act are Federal laws. Because it’s federal, our location in Florida is irrelevant. We travel to our clients. You may have been injured overseas, or on a dock in a port. The DBA and the Longshore Act are handled in Federal courts. Clients are represented by Federal lawyers. If you have been injured while working overseas for a defense contractor, or hurt while working the ports/docks/coasts on U.S. waters as a longshoreman, you should call us to tell us what happened to you. The Longshore and Harbor Worker’s Compensation Act assures medical care, benefits and compensation to employees injured on U.S. docks, ports, shores, coasts, while working jobs located on federal bodies of water that are not on land and covered in a U.S. state. You have the right to seek medical care from the doctor of your choosing which is not the case in other areas of law. This is the strongest advantage you have under this law—you are allowed to choose your doctor. You receive weekly compensation benefits which are lost wages and future money benefits–while you can show your doctor that you are disabled and injured and that you can’t work. That does not include the recovery of lost wages as in a personal injury claim. There is a computation under these laws in terms of what your weekly wage is going to be. To break it down, it is two thirds of your weekly wage. It’s what you get compensated for. And there’s a maximum amount to it. A lot of people overseas are at their maximum. It’s these kinds of details and differences that people need to be made aware of by their lawyer. Your selection of the most experienced lawyer in this practice area is very important. If I don’t live in Florida or New York, can you be my lawyer? Yes, Of Course! We are also please to travel to meet with you. Our clients are located all over the country and the world. We are happy to hop on a plane to get to where you are. 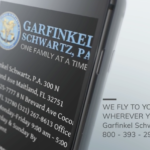 How Can Garfinkel Schwartz Help You? We also advance the costs for your initial medical evaluations and to fight for you in court. How Much Money Can I Get if I’m Covered by the Defense Base Act? There is a formulance in the federal law that tells you how much they’re supposed to pay if you are one of these injured DBA contractors you were injured overseas. If you’ve been working for any particular company that has a government contract the insurance company has to pay for all your lost wages and future money benefits benefits which means your lost wages during the time that you’re injured. Is There a Percent That the Lawyers Get From My DBA Case? If a settlement is reached and the parties come to some sort of agreement, a Judge must approve that settlement to make sure that it’s fair to you and your family. Again, you never pay our law firm any attorney fees. The insurance company or your employer ends up paying us separately and if they can’t agree to an amount of attorney fees and costs, then it goes to a judge. We do not handle cases on Contingency. If we win, the insurance company pays you and pays us too! . simply to enable you to keep living comfortably while you are injured and you can’t work anymore. With that in mind they don’t allow lawyers to take a percentage if what your benefits are–especially in term of getting medical benefits. There is no way to qualify that necessarily in an hourly rate from you because basically the law states that if Garfinkel Schwartz gets any benefit for you, that the insurance company is going pay for all our reasonable costs and fees. They are completely separate issue as to what your benefits are. We cannot, we can’t by law charge you a percentage. This means that you will never have to pay Garfinkel Schwartz anything, ever. How Much Money Do Lawyers Get for Working My Case? The amount of money an attorney will receive in any case is decided by the Judge and does not take away any part of your settlement. Whether we work 10 minutes or 10 hours, it will not affect our clients will never pay us any legal fee. If we (Garfinkel Schwartz) get medical benefits for you, the insurance company all of our fees not you or your family. Period. Whether we work 10 minutes or 10 hours, it will not affect a client. A client will never pay any legal fee. If we (Garfinkel Schwartz) get medical benefits for you, the insurance company is going to pay for all our reasonable costs and fees. Period. These are completely separate payment issues from clients. As to what your benefits are, there is no percentage to lawyers based on your benefits and we cannot and will not by law charge you a percentage. You will never, ever pay us for any legal costs. This is stated within the DBA law and Longshore Compensation Act. If we do get you medical care, medical benefits, or a settlement, then we submit what’s called a petition to the court. This includes the hours of work spent to get clients their benefits. The attorney hourly rate varies around the country but it is all submitted and paid for by the insurance company. Not by the client. Never by the client. 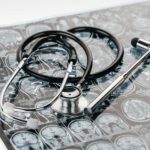 What can I do to get medical care while I’m waiting for my DBA case? Garfinkel Schwartz will advance the costs for your initial medical evaluations. We immediately begin work on your behalf to get you the very best medical care from the best doctors no matter where they are. You may have to apply for assistance in your state while your case is being settled. The U.S. Department of Labor is able to help, as well. The Department of Labor helps to administer the law and is actually in charge of paying for the administrative law judges that will preside over your case. This means that the Department of Labor is the neutral party. Under this law, the U.S. Department of Labor is supposed to facilitate the law so that it’s covering and executed to protect everyone. The U.S. created the law and the U.S. Department of Labor helps to enforce it. The U.S. Department of Labor will help to determine what’s fair and not fair under the DBA and the Longshore Act. Is Anyone Covered by DBA if They Served Overseas? It’s only a matter of time before the insurance company cuts you off or cuts your check in half or denies a medical care claim. Whether it’s undervaluing the claims in terms of settlement or whether it’s underpaying you your average weekly wage, the insurance companies have different ways of calculating what they feel you should get and you won’t be told; you’ll just get a shorted check. You may have been bullied into using their doctors or their nurse’s aides who very likely will say that you’re healthy and can go back to work right away—regardless of what you feel or think. Without legal representation, they can try to force you to go back to work. Our Defense Base Act Lawyers Alan Garfinkel & Brian Wiklendt have fought insurance companies after working for them. We don’t like the way insurance companies do business or the way they try to dishonor people who have fought as heroes for our country overseas. Or worked on U.S. waters, ships, docks and ports. As soon as insurers see our name—the Garfinkel Schwartz law firm name–they know that there are consequences to what they are doing. If you go about it yourself, they will assume you don’t know anything about what they are doing to you. Insurance Companies have a very large advantage over your claims and they will take advantage of you every time. Just the simple act of having the Garfinkel Schwartz letterhead on your first letter to the adjuster of the insurance company basically will discourage them from doing the wrong thing each and every step of the way. There is no way to put a timeline on a Defense Base Act or a Longshore Act case. Garfinkel Schwartz client cases may be settled after a mediation, after a trial or after an unknown and unpredictable amount of time. Why can’t we tell you? Because every single case is so very different. From our side, everyone on the team works non-stop to resolve issues. Clients are assured of confidential, thorough and carefully compiled paperwork and effort. When you email or text us, and you WILL get a response quickly from our team. However, it is important to understand that a case will not be settled until your medical claim ends. Medical care can continue for as long as 20 years. A judge will not settle the case until your medical issues are resolved or until your care is determined to be over. Please be patient in this process. When we take over, you will get all the medical and money benefits you are entitled. During the entire time that you are provided medical care, you’re assured of the access to the doctors and to the treatment that you deserve. We will help you receive money while you are receiving medical care without pause. You are taken care of, you are cared for and you are only a phone call away from answers from Garfinkel Schwartz when you become our client. The most important aspect is for all clients to receive every medical benefit and aspect of care needed to heal, to be comfortable and to allow you to live your life to the fullest. Is there anything I can do to get medical care while I’m waiting for my DBA case? Garfinkel Schwartz will advance the costs for initial medical evaluations. We immediately begin working on your behalf to get you the very best medical care from the best doctors no matter where they are. One of the things that is different about Garfinkel Schwartz is the fact that we will help you find the resources you need. We know that you are not only in pain and uncomfortable, possibly hospitalized, traumatized. So if your medical care is cutoff, where do you go for help? Us! 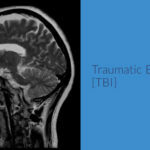 Families struggle when a loved one is injured overseas. We understand this and will do all we can to help you with the social services that are out there for emergencies. Is There a Chance I Won’t Get Anything? Yes, possibly, but in these particular types of cases there is a special provision in the federal law that says that because this is an injury type of situation and a stopgap measure that you are not going to get your full lost wages: you’re going to get a percentage of them. 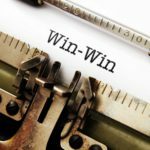 Who Pays the Defense Base Act or Longshore Compensation Benefits? The company who employed you, your employer pays you through their insurance company in order to pay for your medical treatment. There is actually no risk whatsoever to you to get an attorney. That’s the value of this federal law. 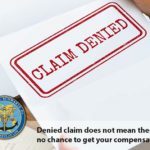 That’s part of what your protection is under the law: you will not have to pay us when insurance companies are wrongfully not paying you or not providing you or your loved ones medical benefits. I agree to share my information.